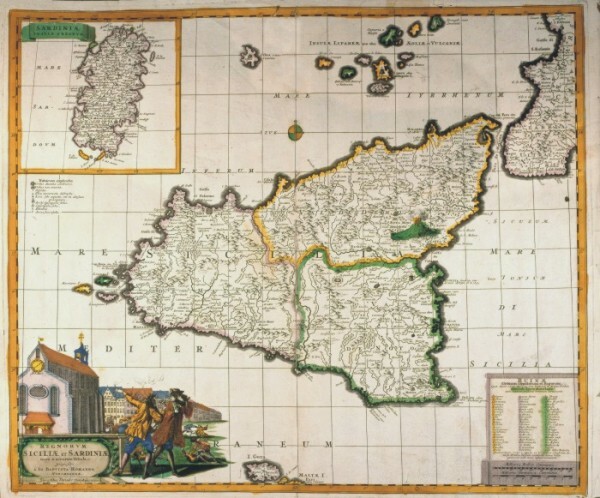 106-Carta di Sardegna e Corsica . 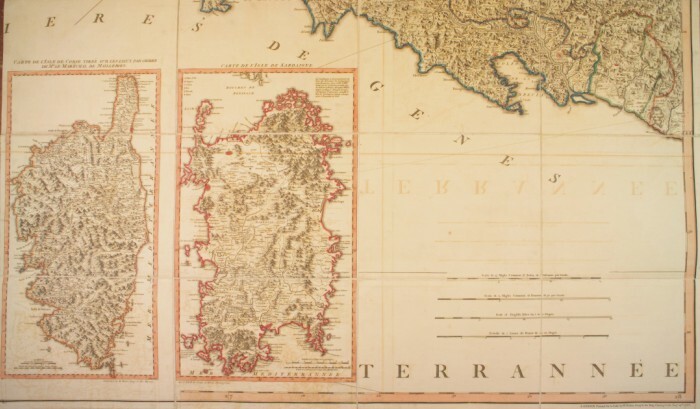 The map was printed in 1784 and belongs to the cartographic map collection of Genoa's Republic, which is composed of 8 documents. Dimensions: 52 x 47 cm. 107-Sardegna e Corsica . 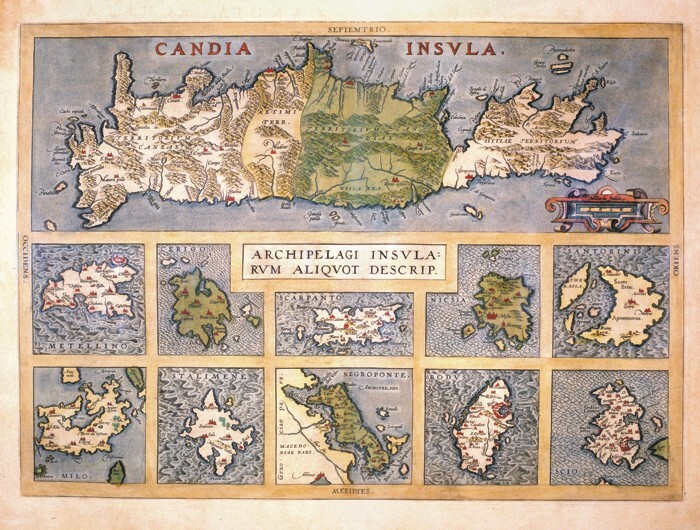 The map was printed in 1611 and exposes each island in a square measuring 22,5 x 33,8 cm. Together they have the dimensions of 50 x 44 cm. 181-Isole Greche . 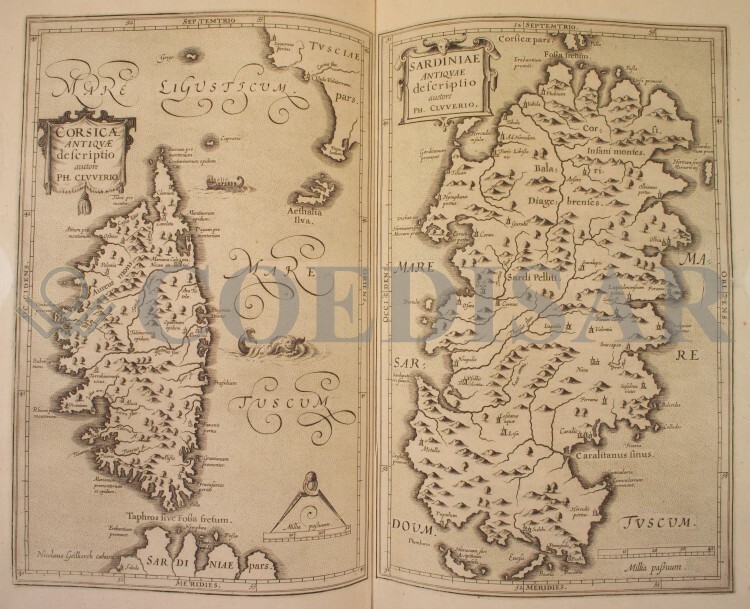 The map belongs to the Atlas Theatrum Orbis Terrarum von Abramo Ortelio published in 1592 in Anversa. 188-Insularum Aliquot Maris Mediterranei Descripto . The paper is in the table "Mediterranean descriptio Insularum aliquot maris" inserted in the Atlas "Theatro del mondo of Abraham Ortelio from him little inanzi his death revised & new tables, et comment adorno, & enriched with life of the author. Translated language Tuscany by m. Filippo Pigafetta. In Antwerp below Young Baptist Urintio "1608". 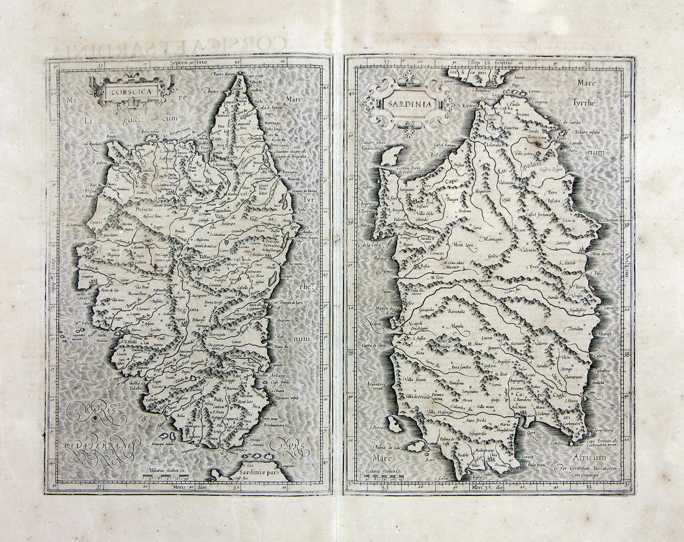 The paper derives from an engraving in copper and measure cm 36,5 x 48 and contains, all correctly oriented, those who were then considered the most important islands in the Western Mediterranean: Sicily Sardinia at the Centre, at the top and bottom left Gerba, Elba bottom centre, Malta below and Corfu top right. 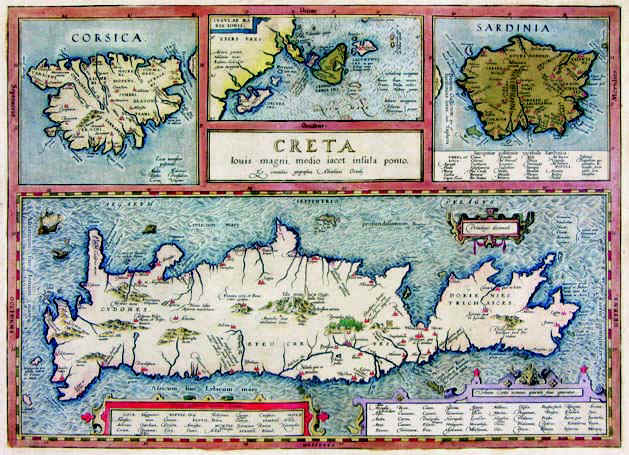 189-Creta . The map belongs to the Theatrum Orbis Terrarum Parergon sive veteris geographiae tabulae. 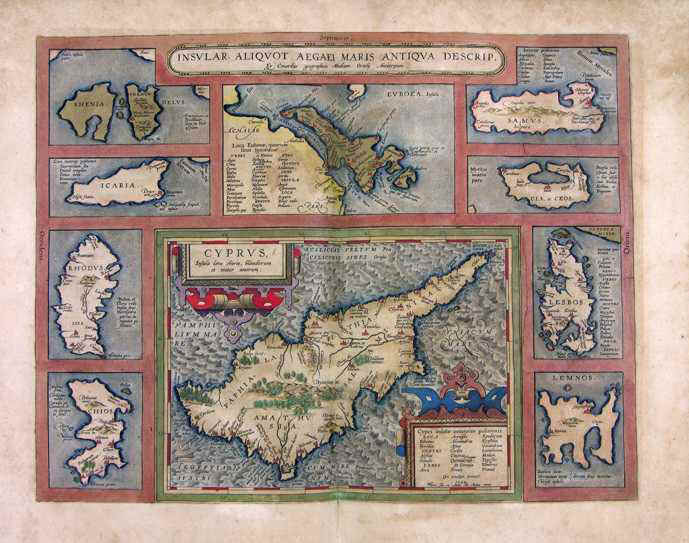 Commentaris geographicis et Historicis illustratae. Editio novissima. Tabulis aliquot aucta, et varie emendata atq innovata. Cura et Studio Balthasaris Moreti. 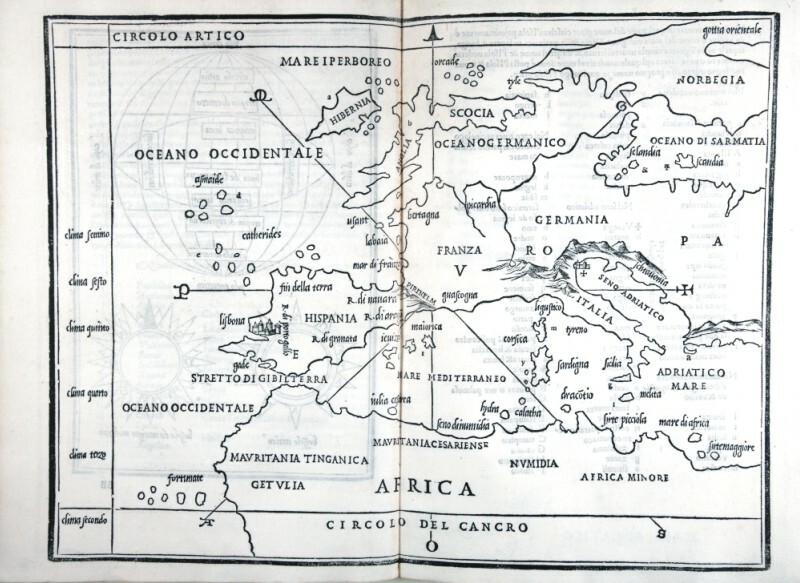 Historiae ocuus geographia. Antuerpiae, ex officina Plantiniana, M.DC. XXIV".The drawing of the table measures 49 x 37 cm and represents Sardinia, Corsica, Crete and the Ionian Islands. 190-Maris Mediterranei . 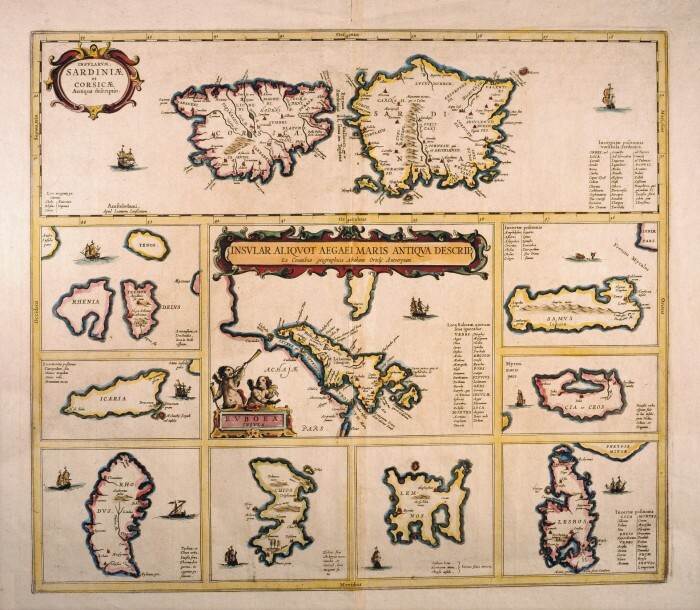 The card, printed in 1715, is located in the Atlas de la Navigation et du Commerce qui se fait dans toutes les Parties du Monde, printed in Amsterdam chez Louis Renard, Marchand DCCXV libraire-M.
191-Corsica, Sardinia, Ionian Islands and Crete . 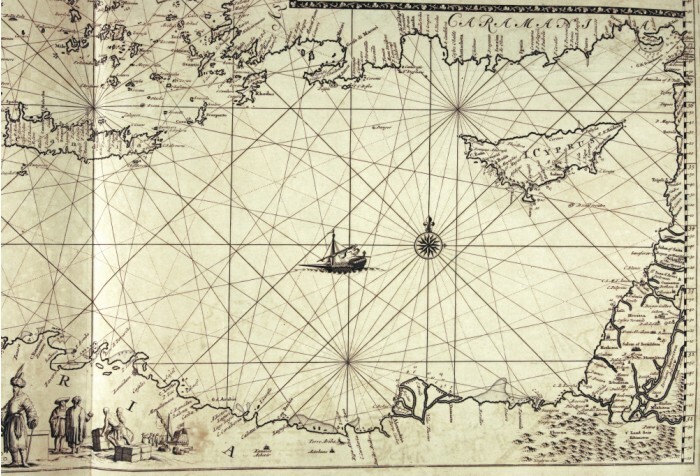 The map belongs to the atlas Theatrum Orbis Terrarum, edition released in 1589.The drawing measures 34,8 x 48 cm. It's a very beautiful and well colored map. 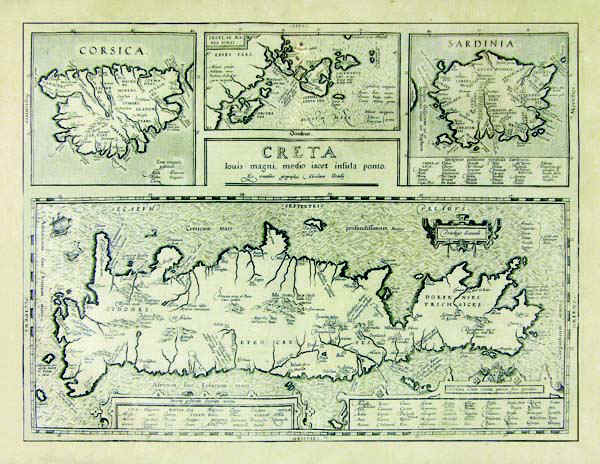 Crete occupies the half part below, Corsica, the Ionian Islands and Sardinia the upper part. 192-Insular Aliquot Aegei Maris . 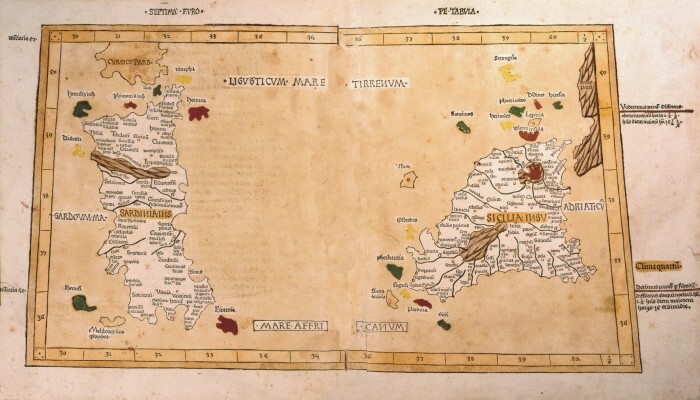 The map resides on the table Insularum aliquot maris Mediterranei descriptio of the atlas Theatro del mondo di Abramo Ortelio, translated in Italian language by Philippo Pigefatta and printed in 1608 in Antwerp by Gio. Battista Urinto. The document was taken from a copper plate engraving and measures 36,5 x 48 cm. 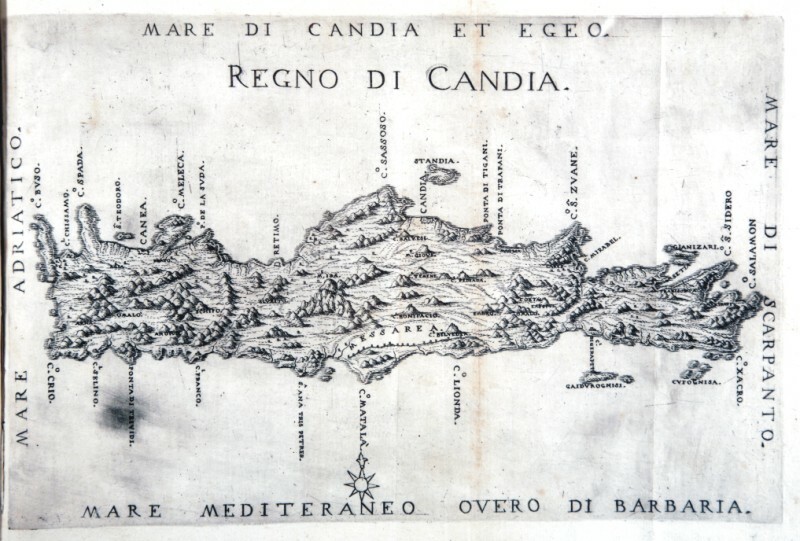 It contains the most important islands of the West Mediterranean Sea at that time: Sicile is in the center, Sardinia at the top and Gerba is on the left bottom, Elba in the center below, Corfu at the top and Malta on the right bottom. 193-Mare Mediterraneo Orientale . The map belongs to the Atlas de la Navigationet du Commerce qui se fait dans touts le Parties du Monde, published in 1715 in Amsterdam. 194-Cypri Insulae Nova Descript - Isola di Cipro . The map belong to the Atlas Theatrum Orbis Terrarum. 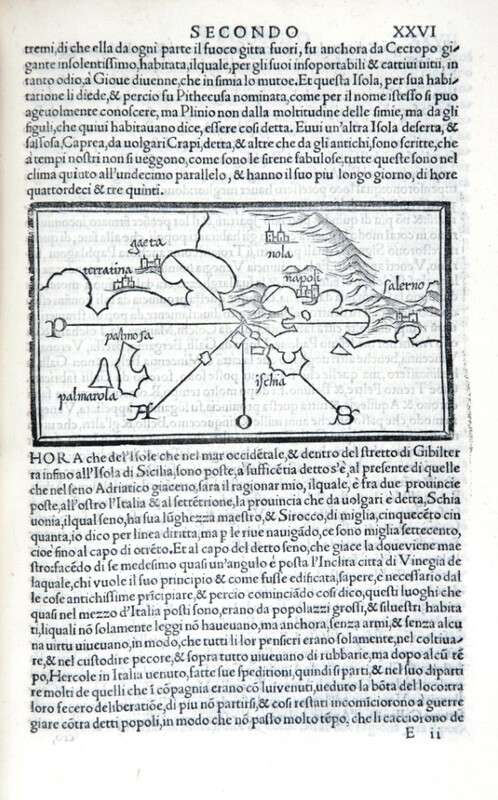 Published in 1592 in Anversa. 220-Ischia - Isola Olim Aenaria . 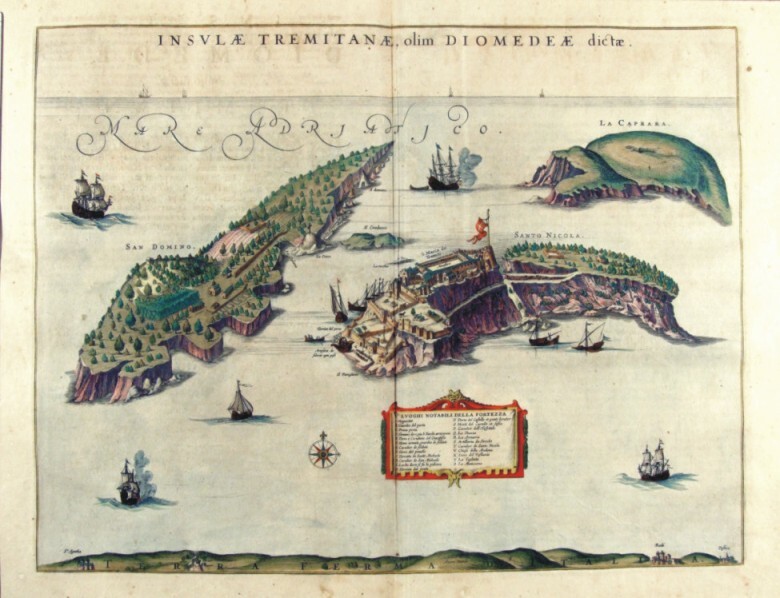 The Island of Ischia with the Peninsula of Capo Miseno and the little Island of Procida in the centre. The title picture appears on the top left. Two decorative pictures contain some information written in Latin, a metric scale of two Italian miles is on the bottom right. There is a exact description of the mountains: the Monte Epomeo is in the centre next to the Monte della Custodia. The Island seems to be intensively cultivated and is coloured a beautiful green. Three sailing ships are on the sea. There are castles and fortifications, the villages are indicated with white walls and red roofs. The little town of Ischia lies on a big rock connected to the rest of the island by a bridge. The map shows water courses everywhere and springs of hot water, called sudatory. The Villa of Lucullo and the Roman Theatre appear on the mainland. Measuring 49 x 37,5 cm, this map is taken from the Blaeu altlas Theatrum Orbis Therrarum, printed in the 17th century in Amsterdam. 291-Insulae Tremitanae olim Diomedeae dictae - Puglia - Italia . 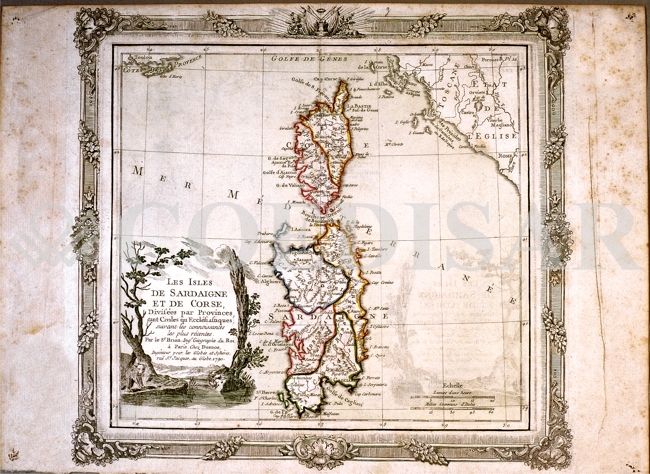 The Charter, which measures in the drawing 49.2 x 38,5 cm, is contained in the Atlas Geographiae Blavianae volumen octavum Quo Italy quae est Europae Liber XVI of Blaeu printed in Amsterdam in 1662. 336-Elba Isola olim Ilva - Toscana - Italia . The Charter, which measures in the drawing 24.5 x 19,5 cm, is contained in the Atlas Geographiae Blavianae volumen octavum Quo Italy quae est Europae Liber XVI of Blaeu printed in Amsterdam in 1662. 412-Mar Mediterraneo Van Keulen . 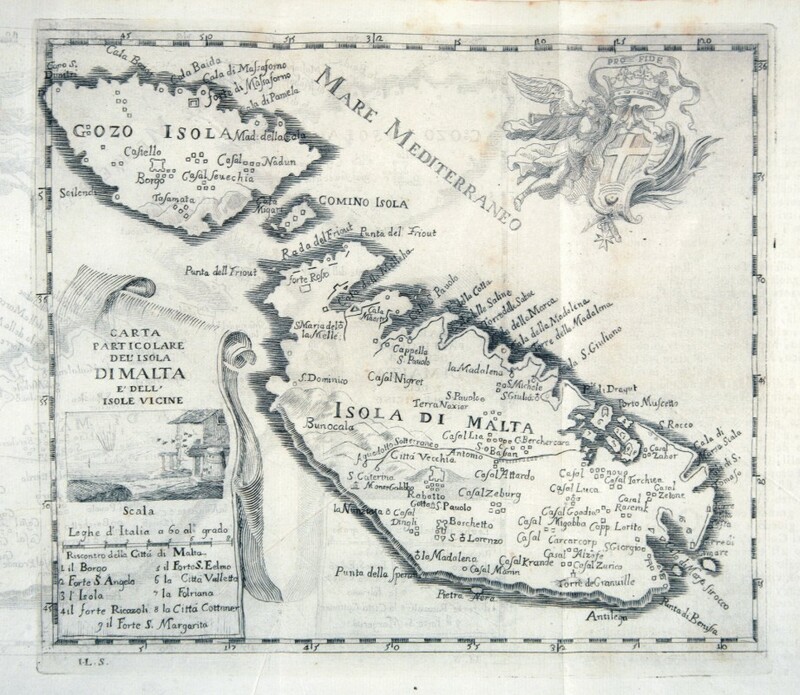 This map comes from the Ioannes van Keulen atlas Zee-Atlas ofte Water Waereld, printed in 1706 in Amsterdam. 392-Mar mediterraneo Van Keulen . 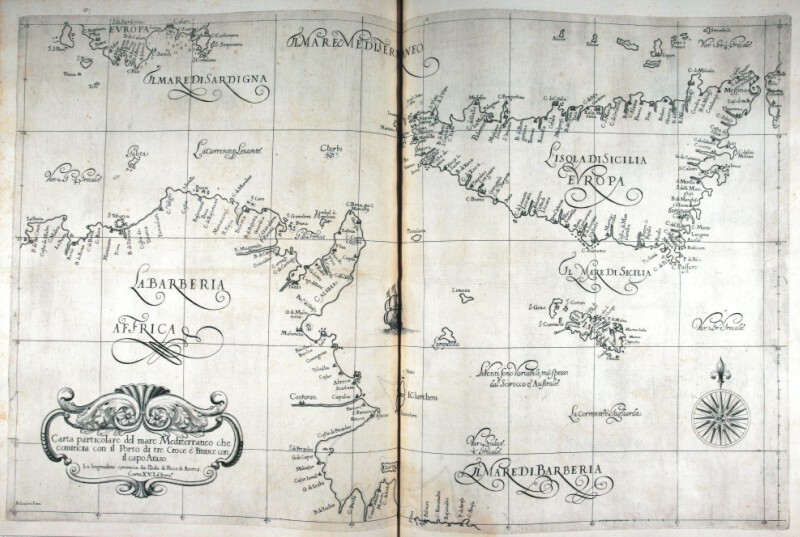 This map comes from the Ioannes van Keulen atlas Zee-Atlas ofte Water Waereld, printed in 1706 in Amsterdam. 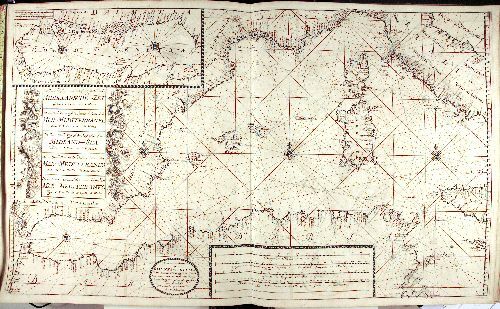 Measuring 59 x 94 cm, it shows the Western basin of the Mediterranean Sea, from the Strait of Gibraltar to Malta. The Adriatic Sea (Golfo di Venezia), from Venice to Otranto appears on a square at the top. Another square with festoons on the left, includes the title written in Dutch, English, French, Spanish and Italian. At the bottom are four graphic scales in Dutch and Italian miles, in French, English and Spanish leagues. Beside these there is a circle with the author's indication Amsterdam by Ioannes van Keulen. This graduated map has a central wind rose, situated between Sardinia and the Balearic Islands, which is connected with numerous other wind roses, but only three of them are visible. Other two wind roses are over the Adriatic Sea. It is an exquisite nautical map. 394-Stretto di Gibilterra Van Keulen . 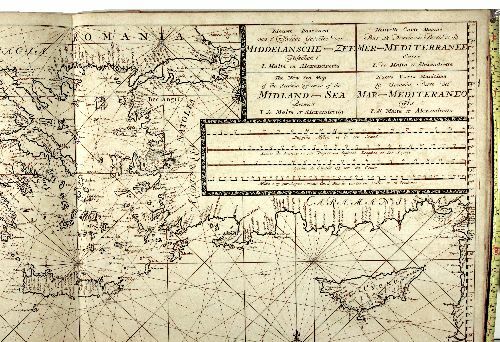 This map comes from the Ioannes van Keulen atlas Zee-Atlas ofte Water Waereld, printed in 1706 in Amsterdam. 395-Sardegna e Corsica Van Keulen . 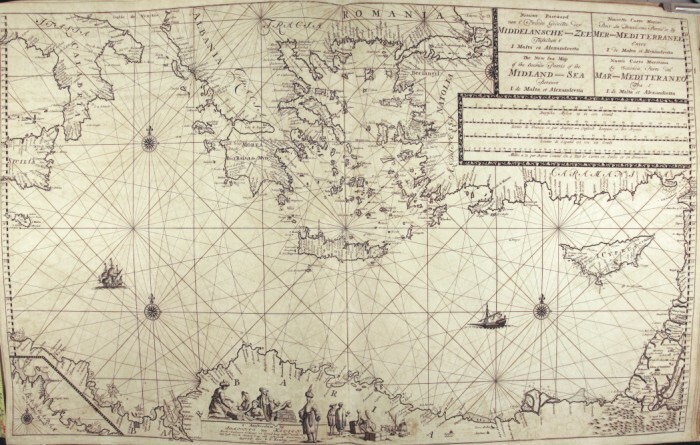 This map comes from the Ioannes van Keulen atlas Zee-Atlas ofte Water Waereld, printed in 1706 in Amsterdam. 396-Coste nord Africa Van Keulen . 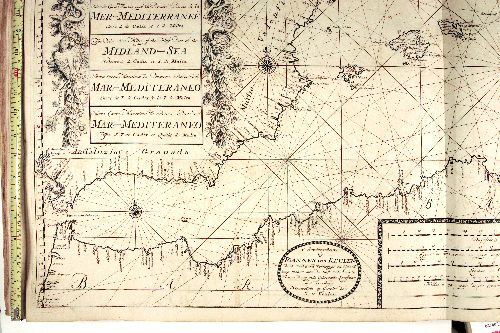 This map comes from the Ioannes van Keulen atlas Zee-Atlas ofte Water Waereld, printed in 1706 in Amsterdam. 397-Grecia Van Keulen . 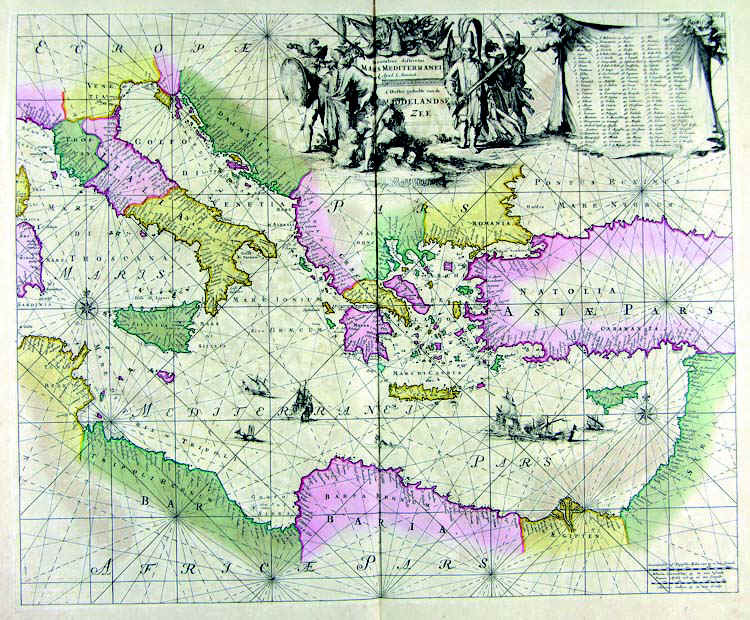 This map comes from the Ioannes van Keulen atlas Zee-Atlas ofte Water Waereld, printed in 1706 in Amsterdam. 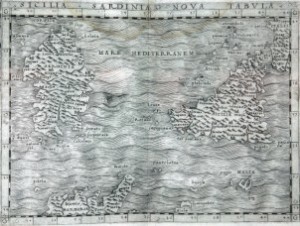 Measuring 59 x 94 cm , it shows the Eastern basin of the Mediterranean Sea. The title, written in Dutch, French, English and Italian appears on the top left, just above a square containing five graphic scales in Dutch and Italian miles, in English, French and Spanish leagues. At the bottom, along the Libyan Coasts, a square surrounded by figures of European and Saracen merchants, includes the author's indication Amsterdam by Ioannes van Keulen. 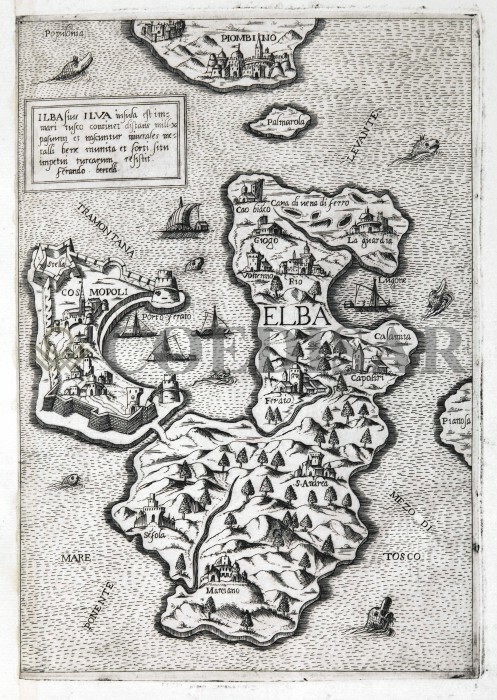 There is another square showing the Eastern part of the Tunisian Coasts and the Island of Gerba on the bottom left. 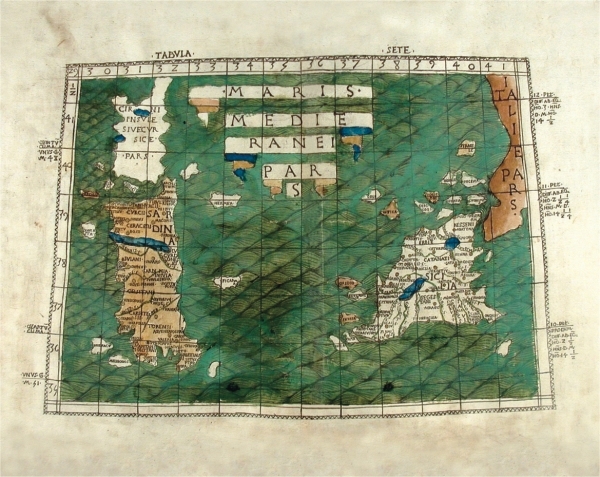 This graduated map is executed with several wind roses, but only three of them are visible. Some figures are drawn on the Libyan Coasts and two ships are at sea. 398-Sicilia,Calabria e Grecia Van Keulen . 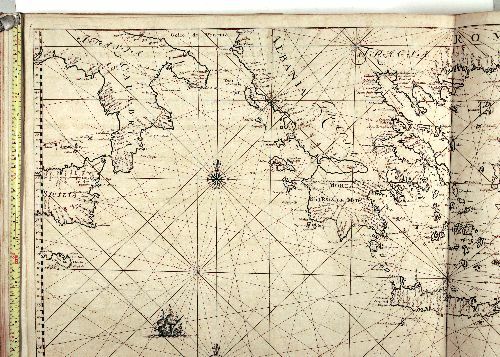 This map comes from the Ioannes van Keulen atlas Zee-Atlas ofte Water Waereld, printed in 1706 in Amsterdam. 399 Mar Mediterraneo Van Keulen . 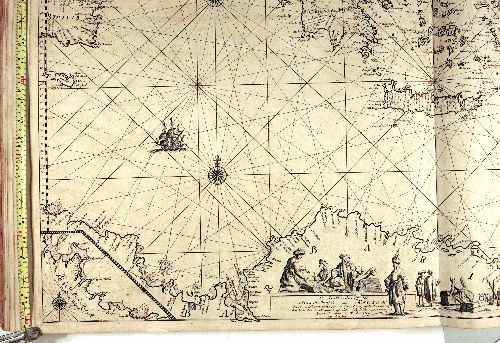 This map comes from the Ioannes van Keulen atlas Zee-Atlas ofte Water Waereld, printed in 1706 in Amsterdam. 400-Isole Greche Van Keulen . 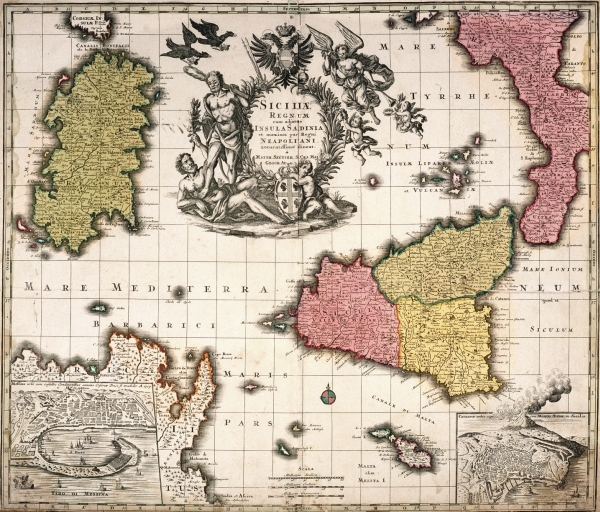 This map comes from the Ioannes van Keulen atlas Zee-Atlas ofte Water Waereld, printed in 1706 in Amsterdam. 401-Creta e Cipro Van Keulen . 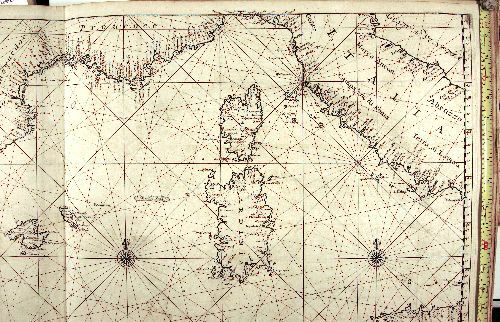 This map comes from the Ioannes van Keulen atlas Zee-Atlas ofte Water Waereld, printed in 1706 in Amsterdam. 431-Ischia . 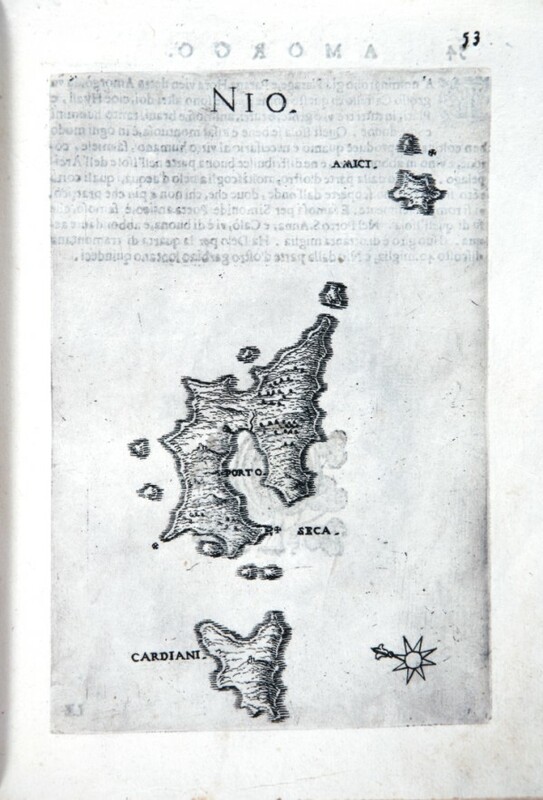 The map measures 8.4 x 14.6 cm in the design and the work is published in Venice in 1528 Libro di Benedetto Bordone nel qual si ragiona di tutte lâ€™isole del mondo con li loro nomi antichi et moderni, historie, favole, et modi di loro vivere, et in qual parte del mare stanno, et in qual parallelo et clima giacciono con il breve di Papa Leone et gratia et pri vilegio della Illustrissima Signoria comâ€™in quelli appare. MDXXVIII. 436-Lero . 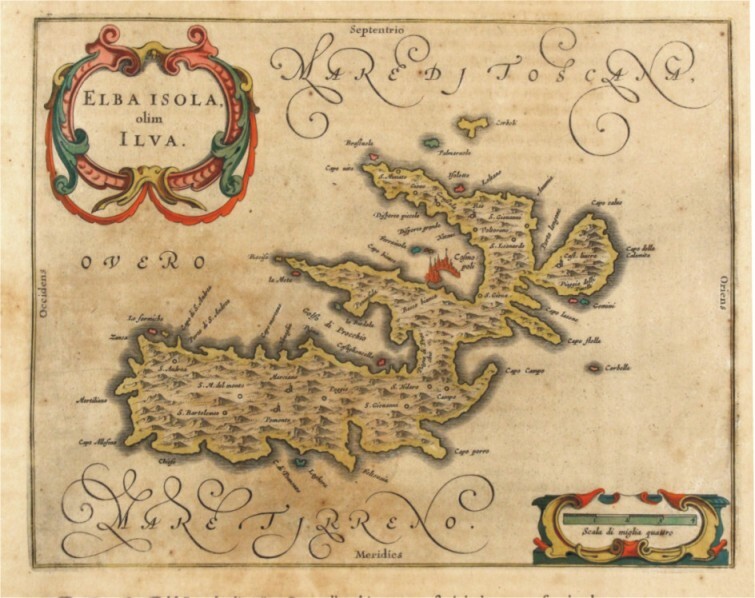 The map which measures 17x24 cm, represents the Greek island of Leros and the work is published in Venice in 1658, the archipelago with the islands, rocks, dry and shallow, with the seas, gulfs, breasts, ports , towns, and castles in form, which can be seen in the present tense, with a succinct narrative Deio their names, stories & historie, ancient and modern. In the drawing above shows the title and right, the scale of 12 miles in a cartouche. The performance is remarkable for the dense and the terrain topography. 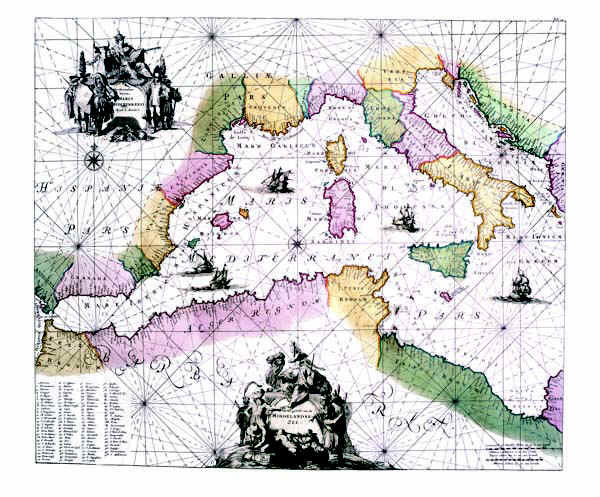 437-Mediterraneo occidentale . 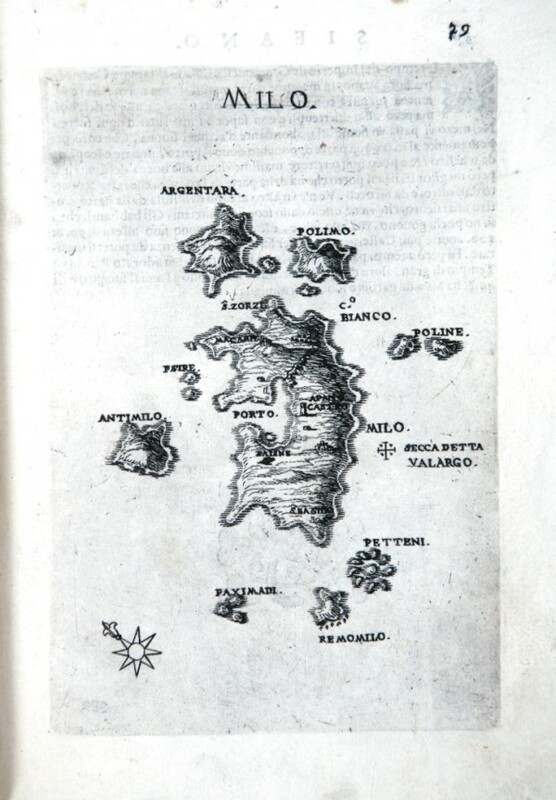 The map measures 14.6 x 8.4 cm in the design and the work is published in Venice in 1528 Libro di Benedetto Bordone nel qual si ragiona di tutte lâ€™isole del mondo con li loro nomi antichi et moderni, historie, favole, et modi di loro vivere, et in qual parte del mare stanno, et in qual parallelo et clima giacciono con il breve di Papa Leone et gratia et pri vilegio della Illustrissima Signoria comâ€™in quelli appare. MDXXVIII. 438-Milo . 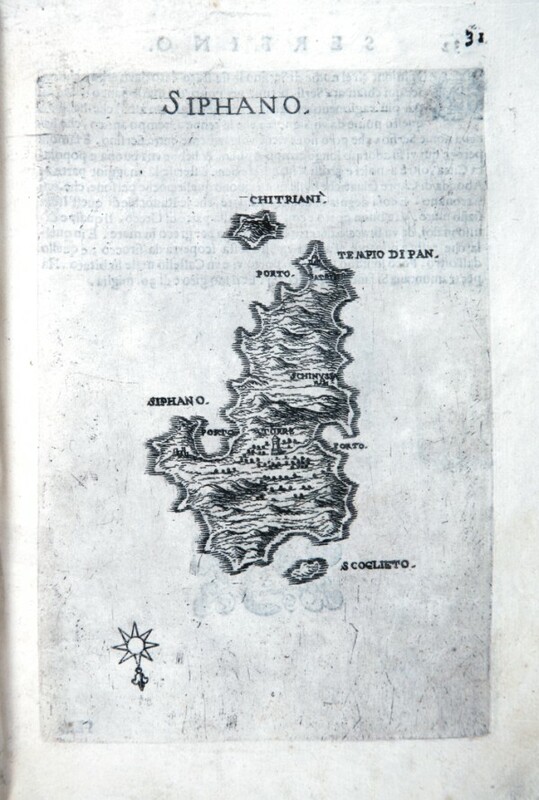 The map which measures 17 x 24 cm, represents the Greek island of MILO and the work is published in Venice in 1658, the archipelago with the islands, rocks, dry and shallow, with the seas, gulfs, breasts, ports , towns, and castles in form, which can be seen in the present tense, with a succinct narrative Deio their names, stories & historie, ancient and modern. In the drawing above shows the title and right, the scale of 12 miles in a cartouche. The performance is remarkable for the dense and the terrain topography. 439-Monte Santo . 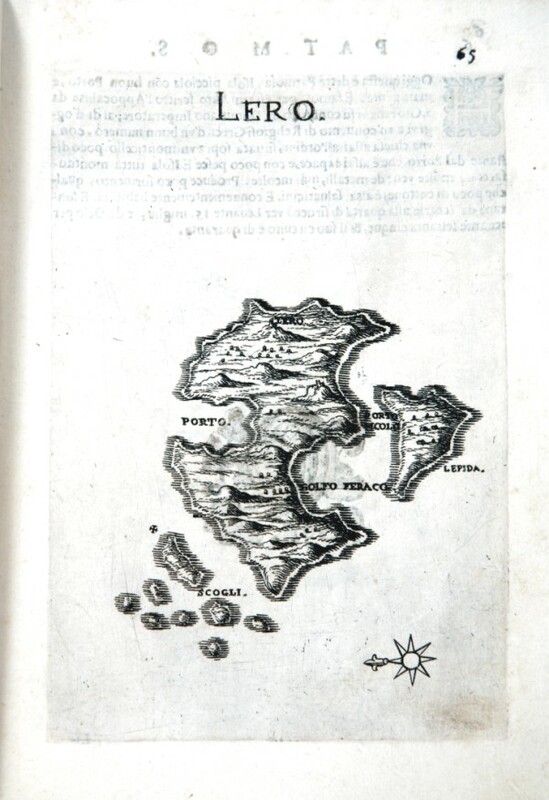 The map which measures 17x24 cm, represents th MONTE SANTO and the work is published in Venice in 1658, the archipelago with the islands, rocks, dry and shallow, with the seas, gulfs, breasts, ports , towns, and castles in form, which can be seen in the present tense, with a succinct narrative Deio their names, stories & historie, ancient and modern. In the drawing above shows the title and right, the scale of 12 miles in a cartouche. The performance is remarkable for the dense and the terrain topography. 440-Negroponte . 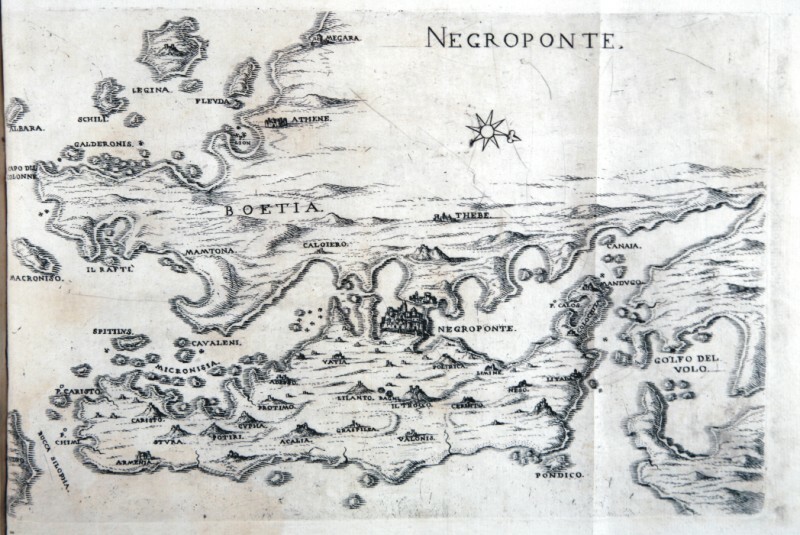 The map which measures 17x24 cm, represents the Greek island of NEGROPONTE and the work is published in Venice in 1658, the archipelago with the islands, rocks, dry and shallow, with the seas, gulfs, breasts, ports , towns, and castles in form, which can be seen in the present tense, with a succinct narrative Deio their names, stories & historie, ancient and modern. In the drawing above shows the title and right, the scale of 12 miles in a cartouche. The performance is remarkable for the dense and the terrain topography. 441-Nio isole greche . 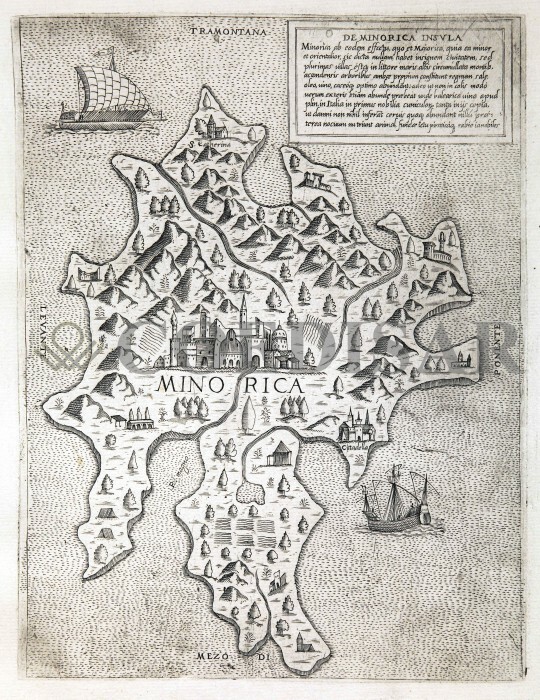 The map which measures 17x24 cm, represents the Greek island of NIO and the work is published in Venice in 1658, the archipelago with the islands, rocks, dry and shallow, with the seas, gulfs, breasts, ports , towns, and castles in form, which can be seen in the present tense, with a succinct narrative Deio their names, stories & historie, ancient and modern. In the drawing above shows the title and right, the scale of 12 miles in a cartouche. The performance is remarkable for the dense and the terrain topography. 442-Pathmos . 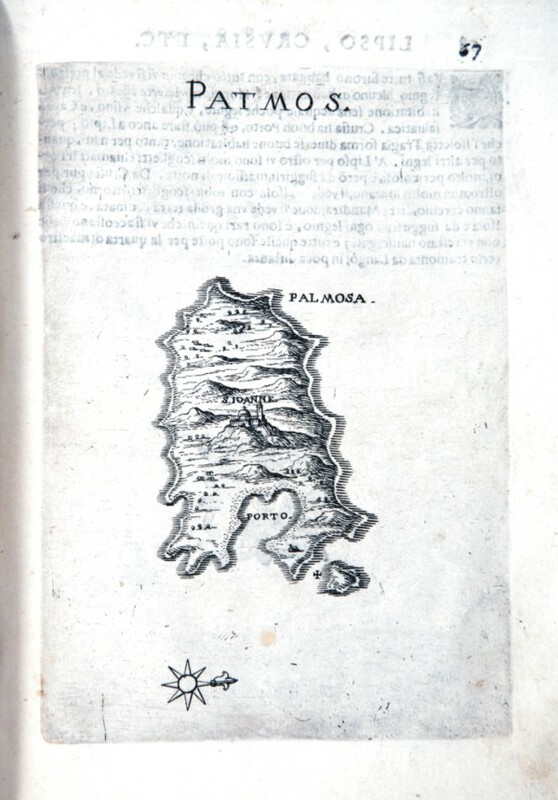 The map which measures 17x24 cm, represents the Greek island of PATMOS and the work is published in Venice in 1658, the archipelago with the islands, rocks, dry and shallow, with the seas, gulfs, breasts, ports , towns, and castles in form, which can be seen in the present tense, with a succinct narrative Deio their names, stories & historie, ancient and modern. In the drawing above shows the title and right, the scale of 12 miles in a cartouche. The performance is remarkable for the dense and the terrain topography. 443-Rodi . 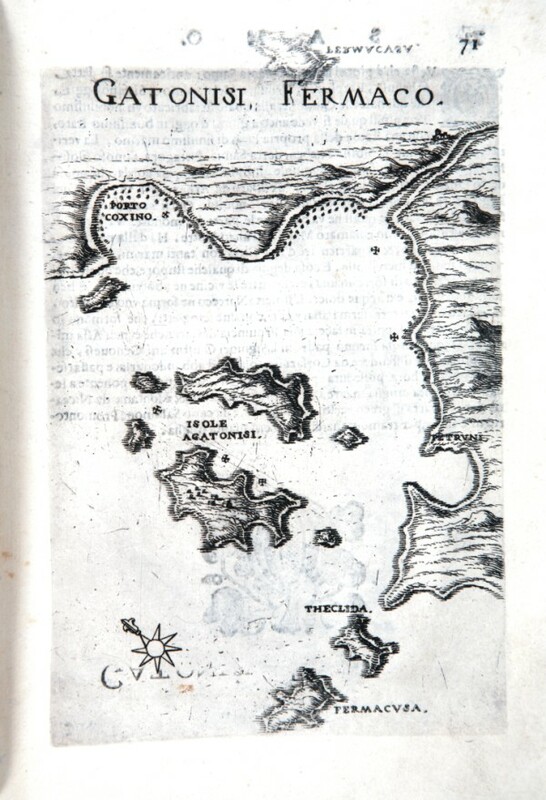 The map which measures 17x24 cm, represents the Greek island of RODI and the work is published in Venice in 1658, the archipelago with the islands, rocks, dry and shallow, with the seas, gulfs, breasts, ports , towns, and castles in form, which can be seen in the present tense, with a succinct narrative Deio their names, stories & historie, ancient and modern. In the drawing above shows the title and right, the scale of 12 miles in a cartouche. The performance is remarkable for the dense and the terrain topography. 444-Samo isole greche . 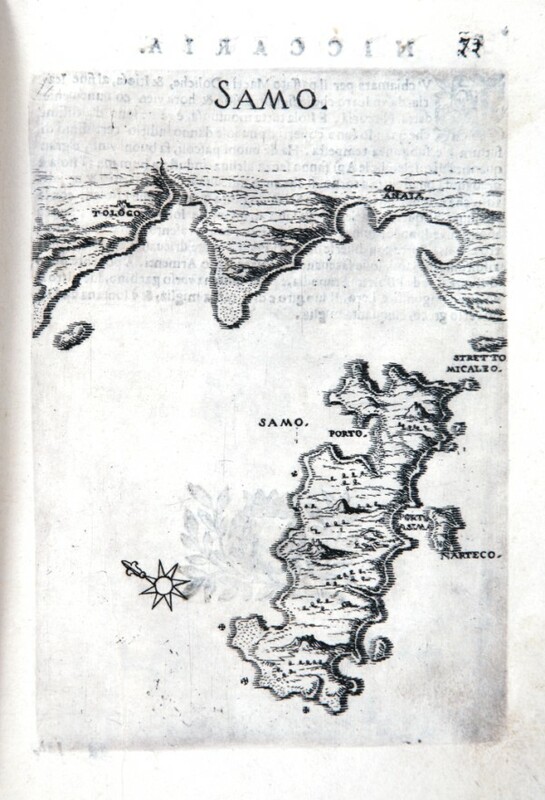 The map which measures 17x24 cm, represents the Greek island of SAMO and the work is published in Venice in 1658, the archipelago with the islands, rocks, dry and shallow, with the seas, gulfs, breasts, ports , towns, and castles in form, which can be seen in the present tense, with a succinct narrative Deio their names, stories & historie, ancient and modern. In the drawing above shows the title and right, the scale of 12 miles in a cartouche. The performance is remarkable for the dense and the terrain topography. 450-Siphano . 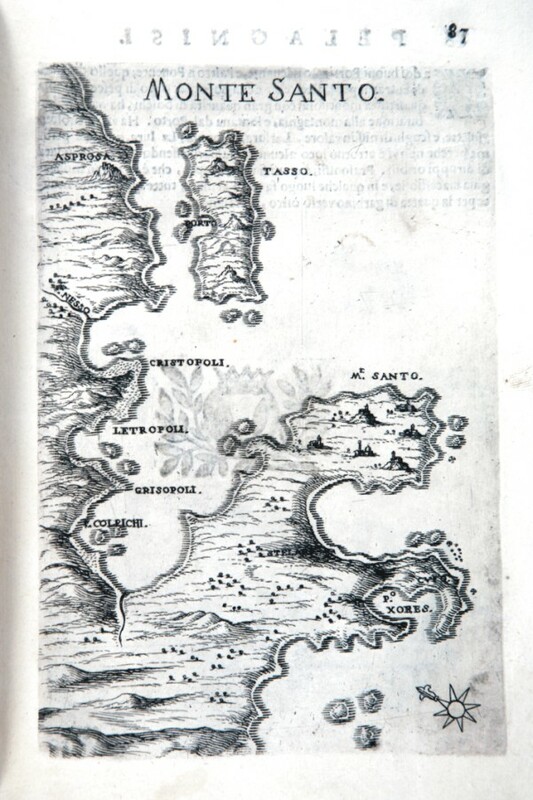 The map which measures 17x24 cm, represents the Greek island of SIPHANO and the work is published in Venice in 1658, the archipelago with the islands, rocks, dry and shallow, with the seas, gulfs, breasts, ports , towns, and castles in form, which can be seen in the present tense, with a succinct narrative Deio their names, stories & historie, ancient and modern. In the drawing above shows the title and right, the scale of 12 miles in a cartouche. The performance is remarkable for the dense and the terrain topography. 451-Zinara e Levita . 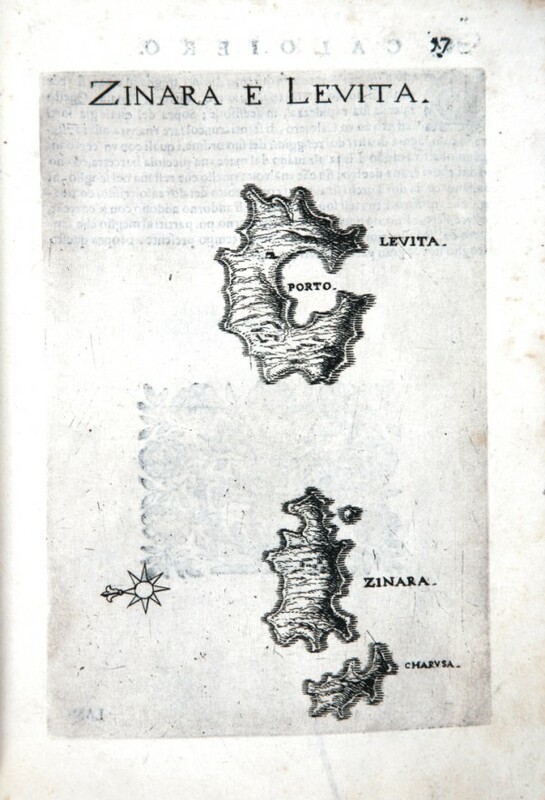 The map which measures 17x24 cm, represents the Greek island of ZINARA E LEVITA and the work is published in Venice in 1658, the archipelago with the islands, rocks, dry and shallow, with the seas, gulfs, breasts, ports , towns, and castles in form, which can be seen in the present tense, with a succinct narrative Deio their names, stories & historie, ancient and modern. In the drawing above shows the title and right, the scale of 12 miles in a cartouche. The performance is remarkable for the dense and the terrain topography. 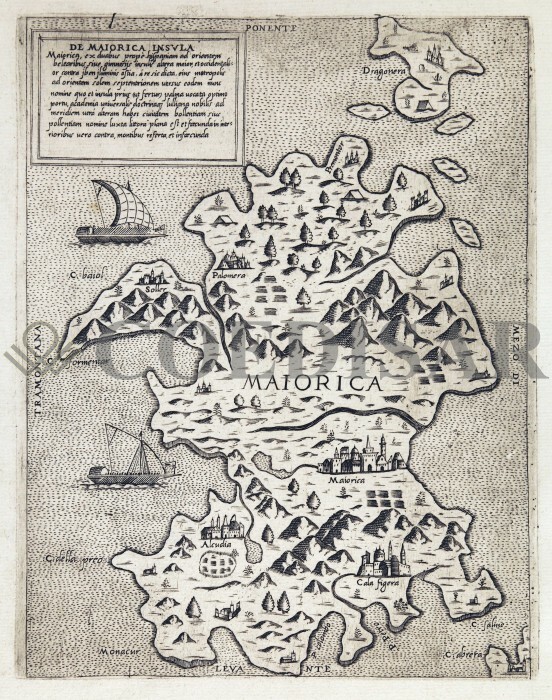 601-INSULARUM CORSICAE SARDINIAE MELITAE . Map of Christoph Weigel printed at Nuremberg in 1720 that measure cm 41x33, 2 and is located in Urbis terrarum veteribus cogniti. 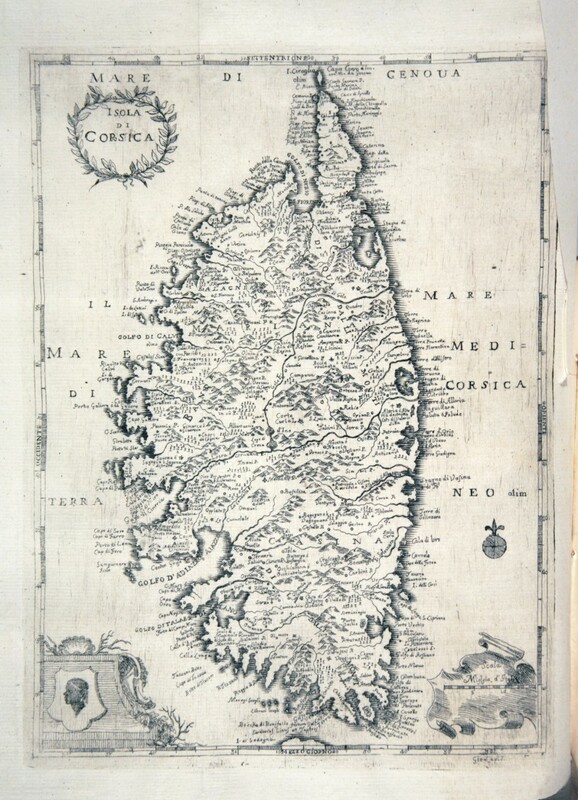 The paper offers Sardinia with Corsica, l0 ' island of Malta. The title is in a scroll left. 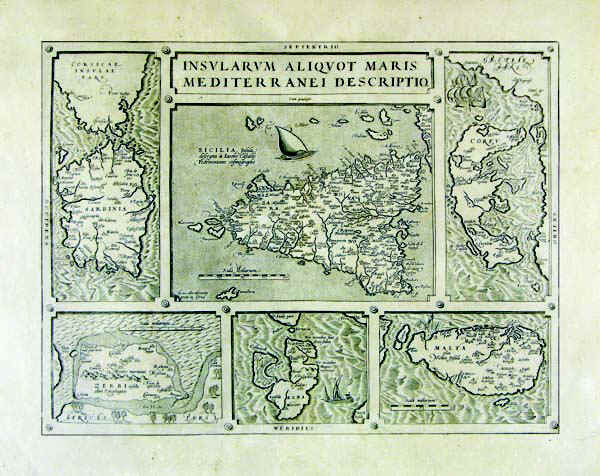 602-INSVLAR ALIQVOT AEGAEI MARIS ANTIQVA DESCRIPT . 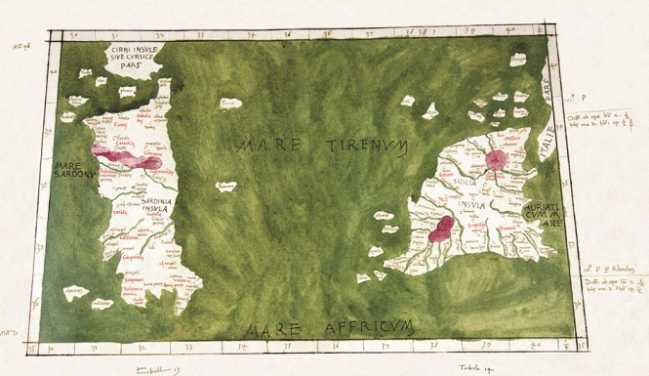 Map of Abramo ortelio located in Teatrum orbis Terrarum handout to Amsterdam Assembly in 1570 and measure cm 43x49, 5. Offers top Sardinia and corsica and other islands such as Chios 8, Evia, Lesvos and Samos. 613-Siciliae e Srdiniae . This map, measuring 48,8 x 57,7 cm and drawn by Johann Baptist Homann, was printed in 1705 in Nuremberg. 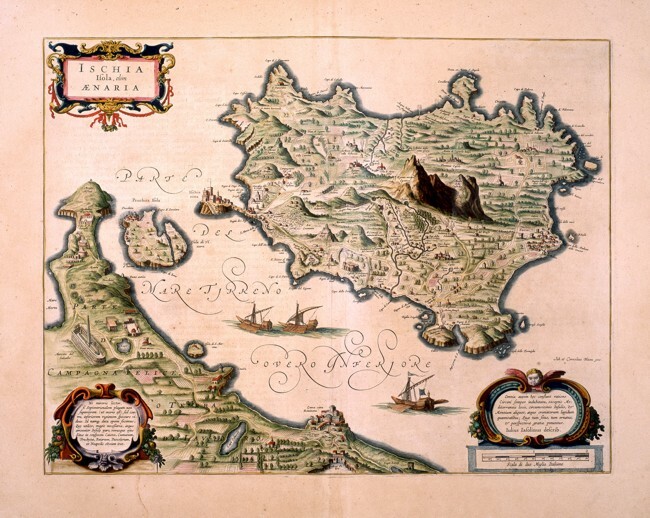 It shows the South Tyrrhenian Sea with the islands and the surrounding territories. 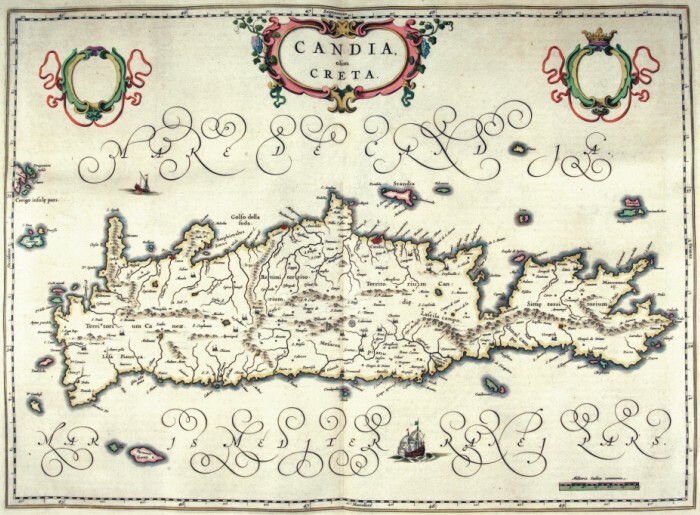 The town of Catania with Etna appears in a square on the bottom left; a festoon at the top contains the title; the graphic scales in Milliaria Germanica, Milliaria Italica, Milliaria Gallica are on the right. The mountain ranges are indicated by mole-hill reliefs, a rich river network and the most important towns and theirs fortifications, are described as well. There is a green-pink wind rose, several battleships and boats at sea. 614-Maris Meditteranei . 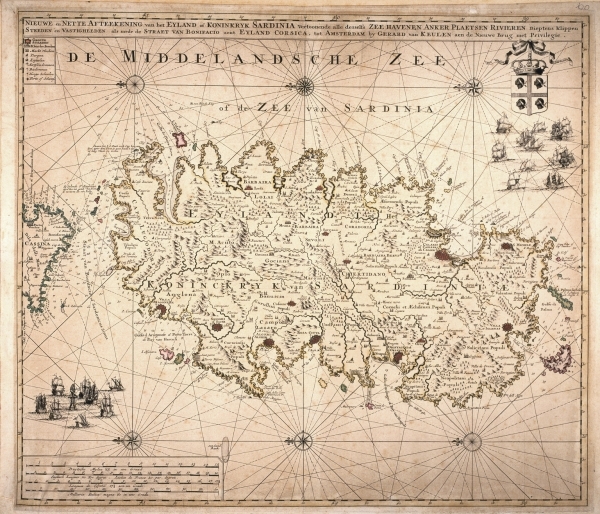 This map, measuring 49,6 x 57,2 cm and drawn by Iusto Danckerts, was printed in 1710 in Amsterdam. It shows the Western Mediterranean basin, from the Strait of Gibraltar to Calabria. The title and the graphic scales in Milliaria Germanica Communia 15 in uno Gradu and Milliaria Gallica sive horae itinersi 20 in uno Gradu, are included in a sumptuous picture, surrounded by human figures and trees. The mountains are indicated by mole-hill reliefs and the towns are drawn with small perspective designs. 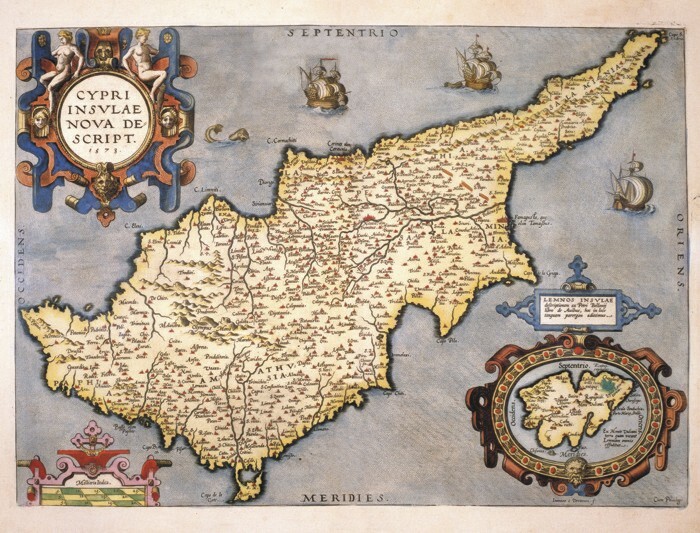 615-Regnum Siciliae et Sardeiniae . 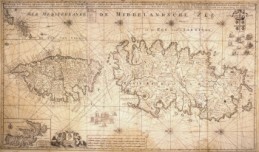 his map, measuring 37 x 48 cm and drawn by Johann Baptist Homann, was printed by the editor Funke at the beginning of the 17th century in Nuremberg. 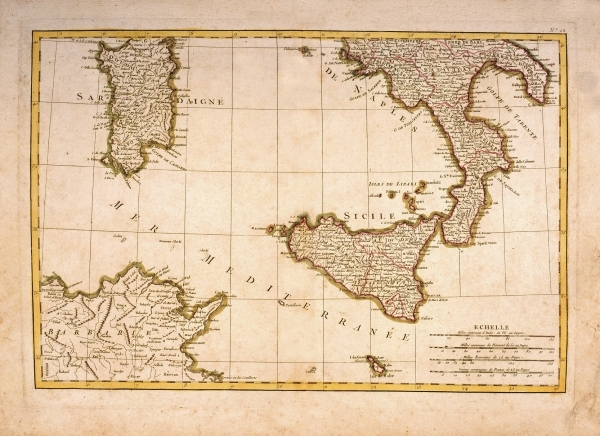 It shows Sicily, divided in its three main parts, Etna and the smaller islands. 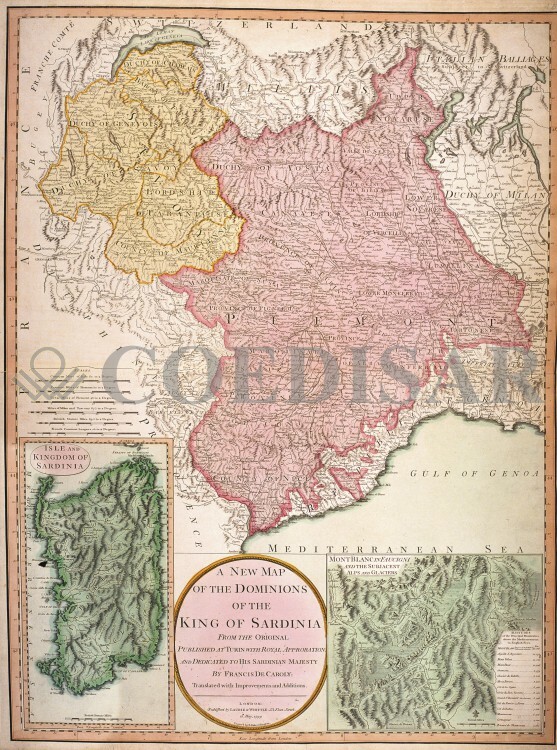 Sardinia with its title of Sardiniae Insula & Regnum appears in a square on the top left. The main title however is included in a picture decorated with beautiful designs of a church, buildings and other scenes at the bottom left. There is also a square on the bottom right containing the names of the inhabited centres, destroyed by the big earthquake in 1693. The graphic scales in Milliaria Italica Communia and Milliaria Germanica Communia are just below it. 623-De Middelandsche Zee of de Zee van Sardinia . 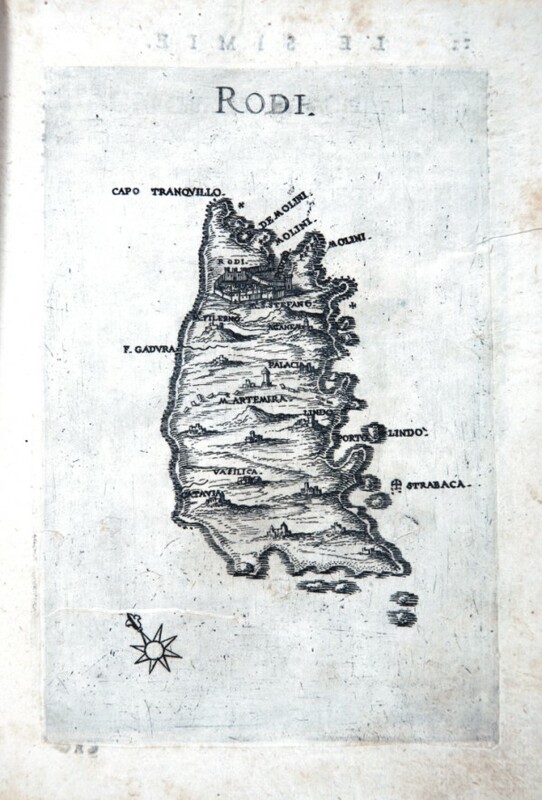 Nieuwe en Nette aftekening van et Eiland of Koninkryk sardiniaâ€¦ it is Found in the Atlas printed maior to Amsterdam in the first decades of the XVIII century. 625-Siciliae Regnum e Insula di Sardinia . 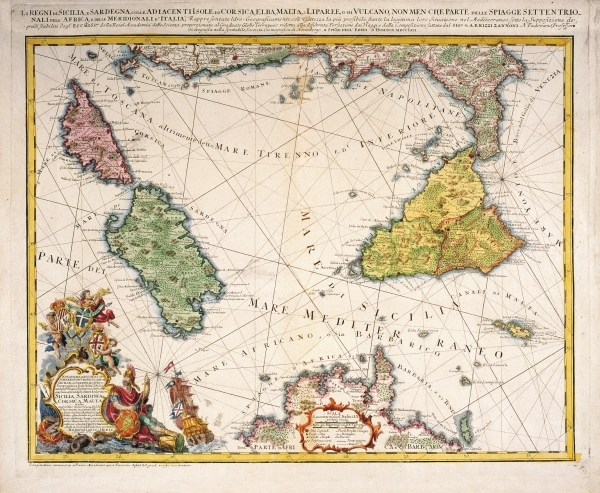 The map, measuring 49 x 58,2 cm, is taken from the Mattäus Seütter Atlas Geographicus, printed in 1725 in Augsburg. 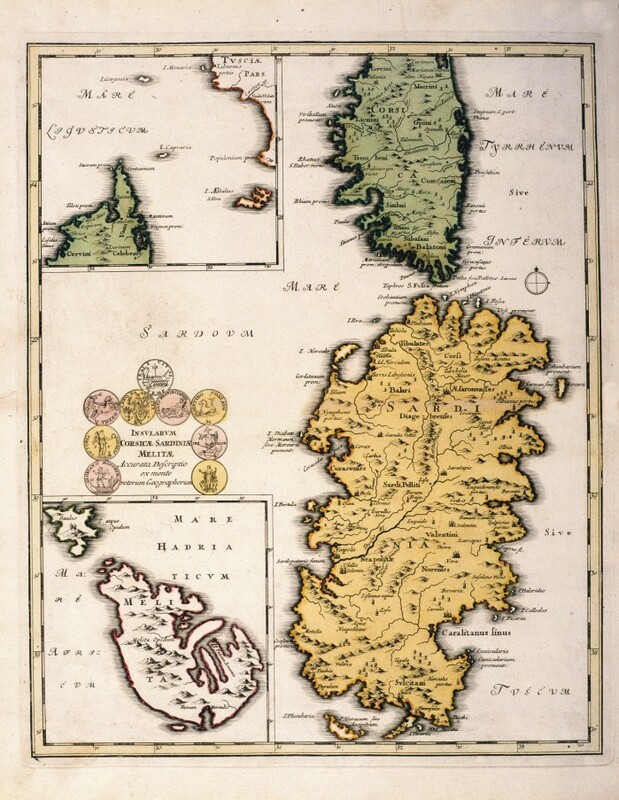 Drawn by Johann Baptist Homann in 1705, it shows the Western Mediterranean basin with the islands of Sicily, Sardinia and Malta, Calabria and the North-Eastern of Tunisia with Cap Bon. 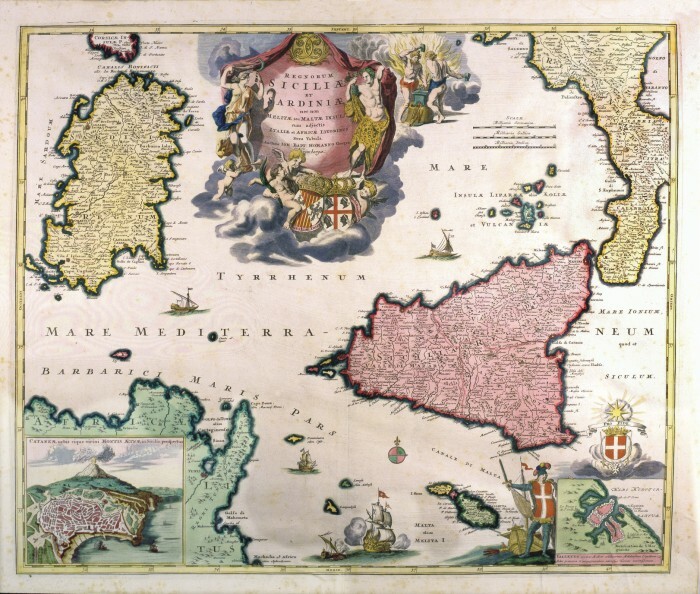 The sumptuous title picture with several figurs and the Austrian blazon appears in the centre of the Tyrrhenian Sea. 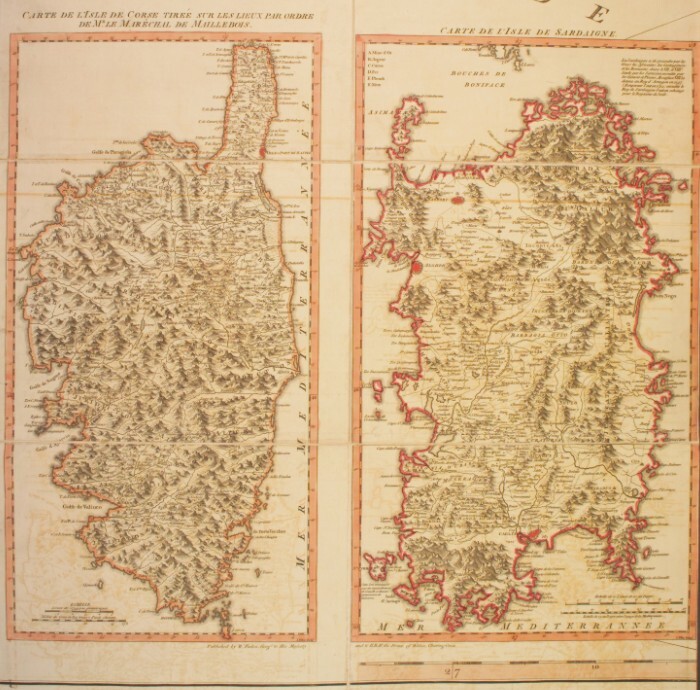 On the bottom left a square contains the town of Messina, on the right, a second one shows the town of Catania with the smoking Etna. 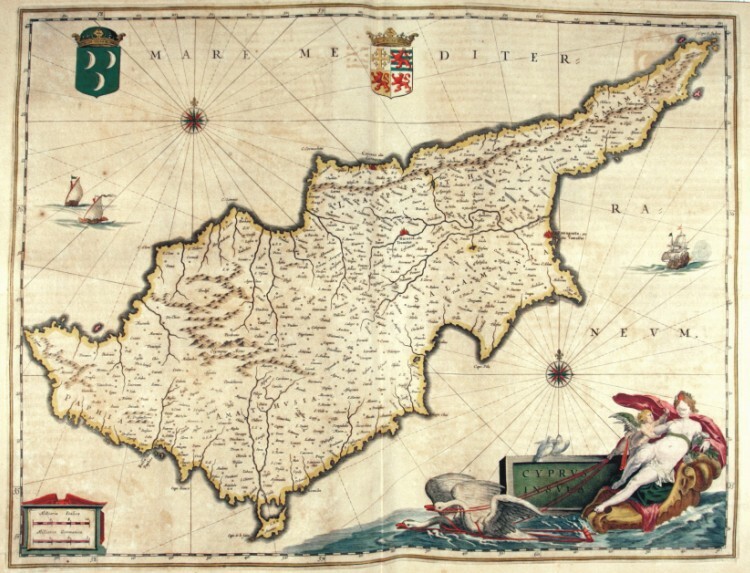 631-Li Regni di Sicilia e Sardegna . 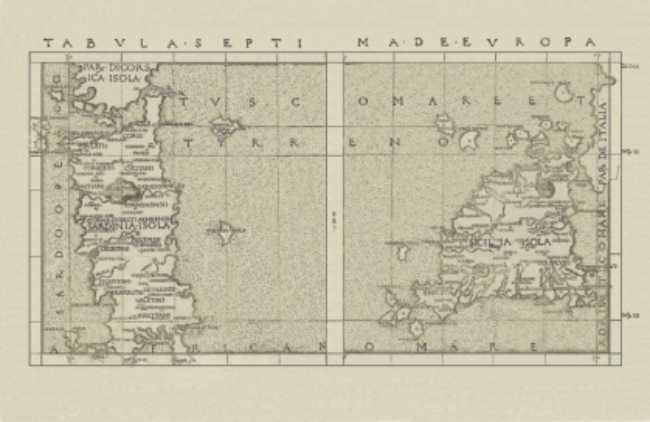 The map it is found In the work of Guillaume Delisle Atlas Novissimo that contains overall the parts of the momdo in which I/you/they am exactly descritti.stampato to Venice in the 1750. The crta derives from one of the Works of G. sanson. 632-Li Regni di Sicilia e Sardegna . 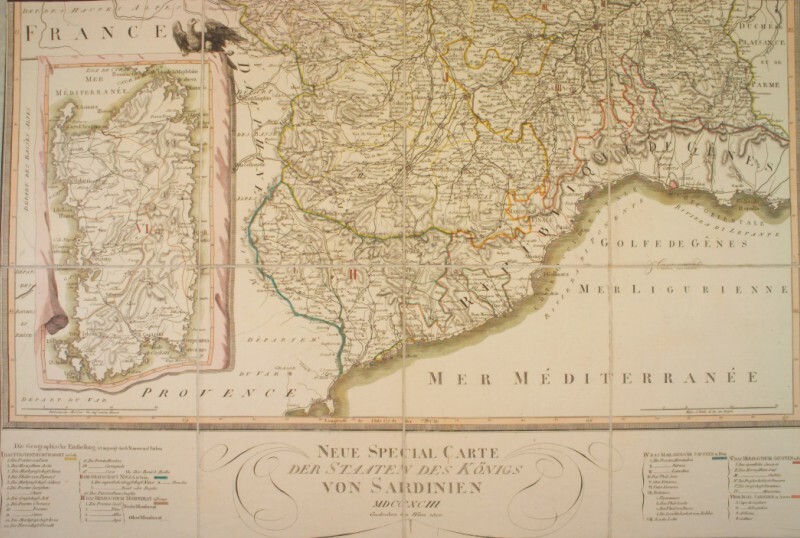 The map, measuring 56,6 x 43,4 cm and drawn by Giovanni Antonio Rizzi Zannoni, is taken from the Atlas Maior Scholasticus, printed by the heirs of Homann in 1762 in Nuremberg. 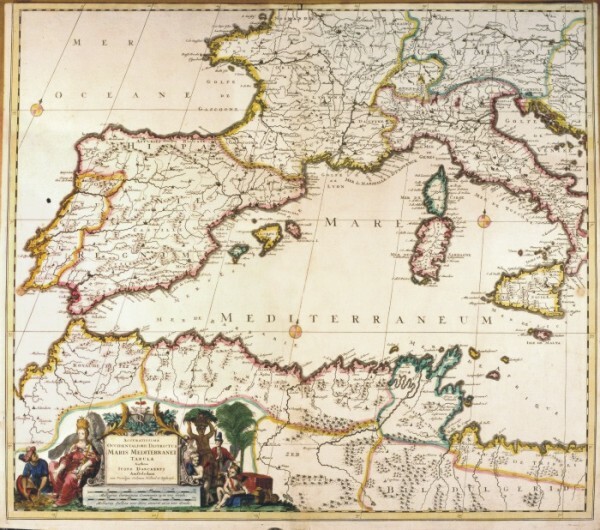 It shows the Tyrrhenian Sea with the three most important Mediterranean islands, part of the Italian peninsula and the North of Tunisia. 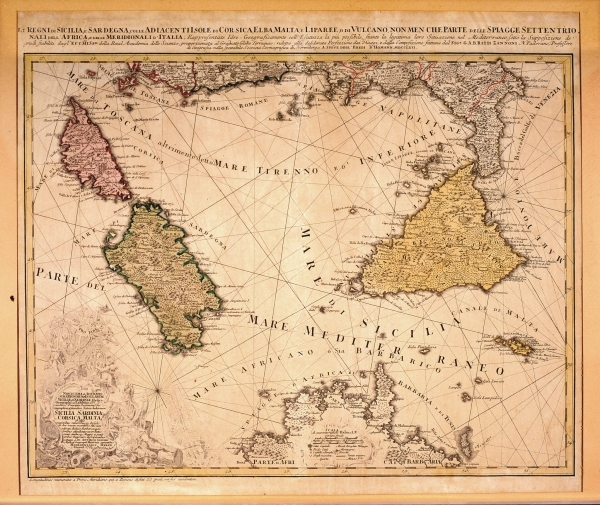 A splendid title picture appears on the bottom left; the graphic scales in Italian and Mediterranean miles are included in a beautiful picture in the centre-bottom. It is an important map introducing considerable improvements in the cartographic precisionof that period. 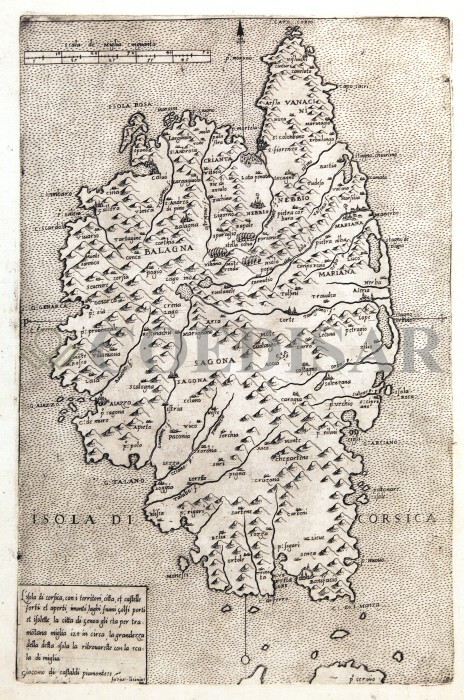 633-Sardegna e Sicilia . Italy divided in you are different States than To. Zannoni lifts up. And' printed stat to Paris in 1762 and it measures cm 53,5 xes 39. It is found in the Atlas Modern ou collection de cartes sur tutes partes du terrestrial globe par plusieurs auteurs. 634-Sardegna Corsica e Isola d'Elba . 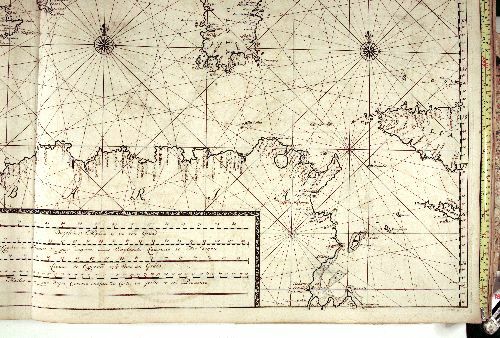 Nieuwe en Nette aftekening van et Eiland of Koninkryk sardinia… it is Found in the Atlas printed maior to Amsterdam in the first decades of the XVIII century. 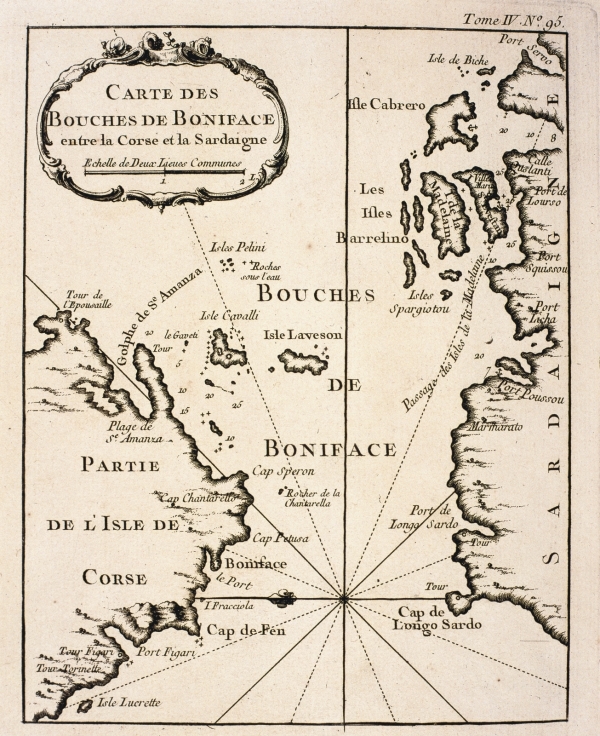 635-Carte des Bouches de Boniface . 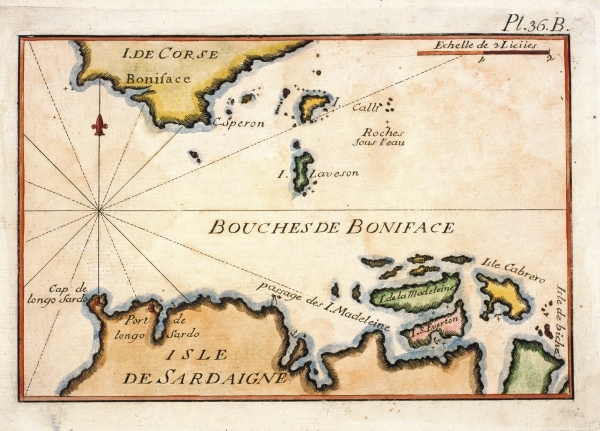 Carte des Boucjhes de Boniface entre la Corse et la sardigne DI j.n. 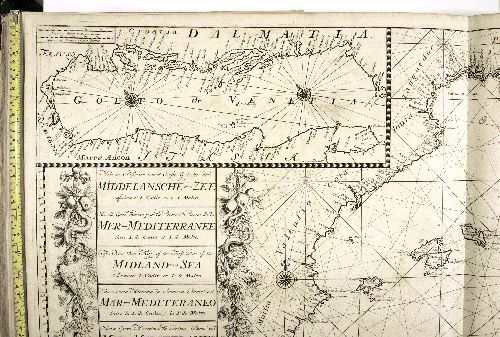 Bellin, 1763 nautical map, and it is found in the Petite Atlas Francois. 636-Carte de la Baye de l' Oristan . 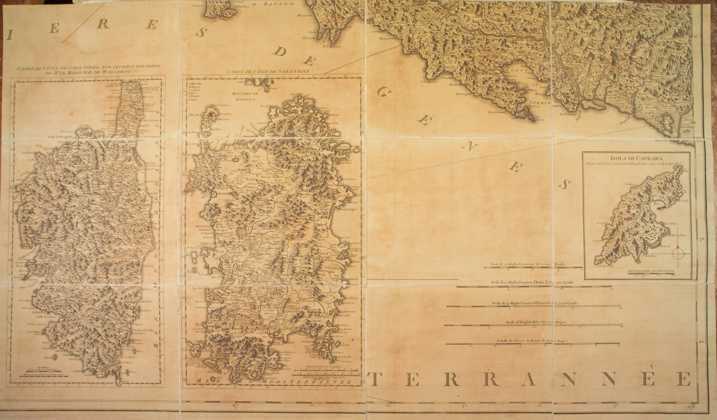 Nautical map of the 1763 that isura cm32x18 and is found in the Petite Atlas Francois It is oriented to South, the title is contained in a cartiglio and represents the gulf of Oristano and the humid zones of the southern Sinis. 637-Bouches de Boniface . 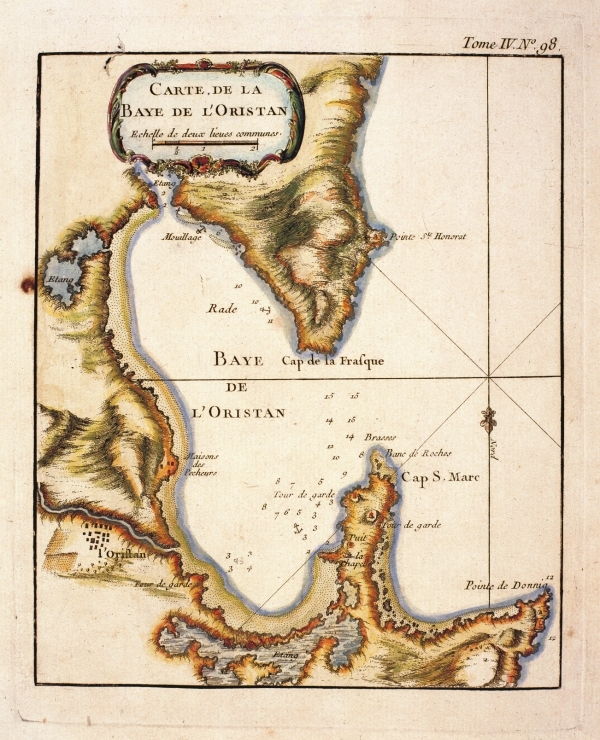 Map of J. Roux stamped to Marsiglia in 1764, is found in Recueil des Principaux Plans and Rades dela Mer MediterranÃ©e. It measures cm 14,6x21 and it proposes the narrow one of the mouths of Bonifacio and some islands of the archipelago of You Maddalena together with the coastal fortifications. 739 - Descriptio Legationis Batavica .